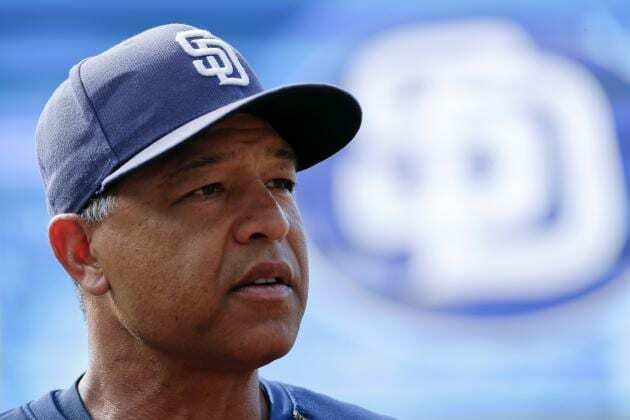 The Los Angeles Dodgers officially marked the end of their managerial search with the hire of former San Diego Padres bench coach Dave Roberts. 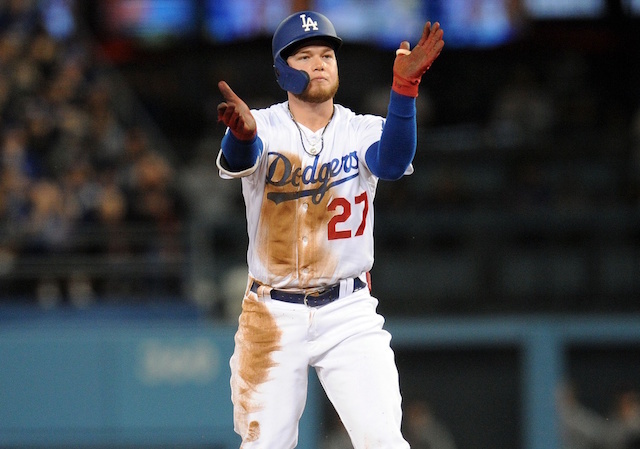 Once a manager is in place, Los Angeles will shift their offseason focus to free agency and the trade market in effort to upgrade and round out the roster. Thus far, the Dodgers have signed infielder Charlie Culberson to a Minor League contract, and inked a pair of young Cuban prospects. The Dodgers otherwise have been linked to free agent relief pitcher Darren O’Day, Tampa Bay Rays relievers Brad Boxberger and Jake McGee, and multiple starting pitchers — most recently Jordan Zimmermann. The Dodgers thus far have been connected mostly to set-up man extraordinaire Darren O’Day among the bullpen arms, but they’ve cast a wide net in their search for relief help, and are also considering closers, even the game’s most dynamic pen arm Aroldis Chapman. It’s unclear what acquiring Chapman, one of baseball’s most electric closers, would mean for current Dodgers closer Kenley Jansen, who is eligible for arbitration. Under team president of baseball operations Andrew Friedman, Los Angeles largely did away from identifying roles in the bullpen — outside of Jansen as closer. 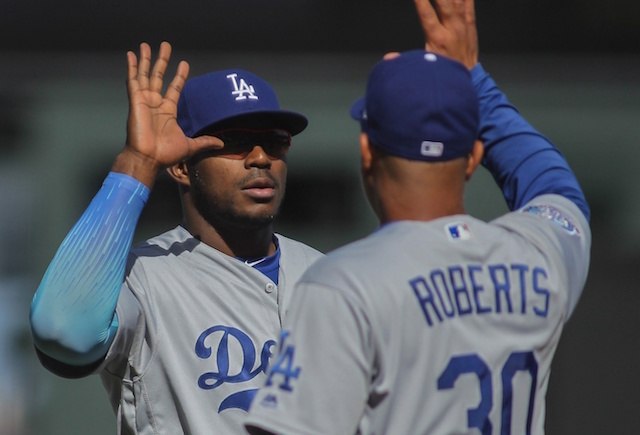 Assuming both were on the roster, it wouldn’t come as a surprise should Chapman and Jansen both be used and alternated in the eighth and ninth innings, dependent on matchups. 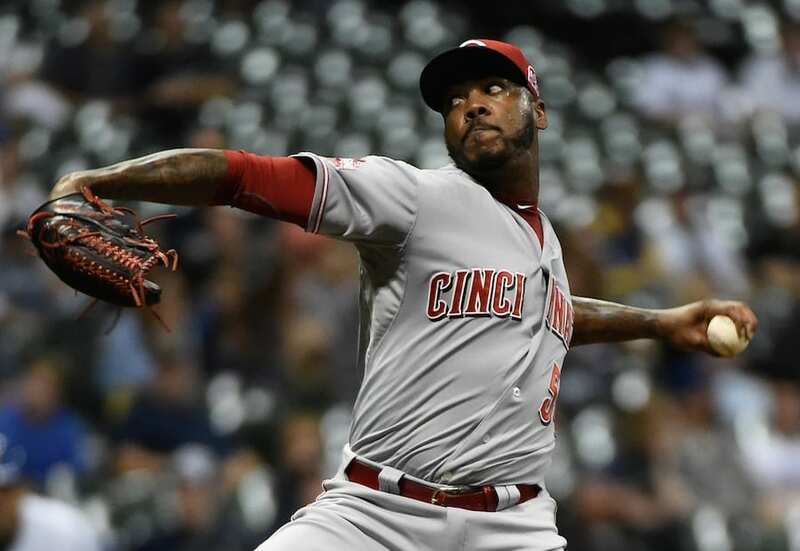 Another hurdle in the Dodgers’ potentially trading for Chapman is he’s free-agent eligible after the 2016 season, which may dissuade them from sending a large haul to Cincinnati. Jansen is also eligible for free agency after next season. Chapman was named to a fourth consecutive All-Star team last season, during which he recorded 33 saves with a 1.63 ERA, 1.94 FIP and 1.15 WHIP. 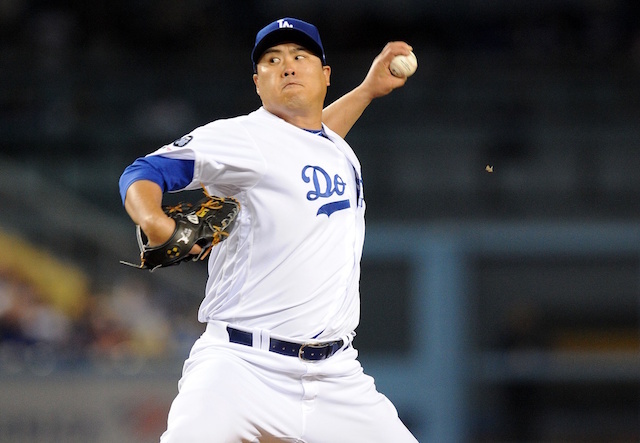 Chapman’s strikeout rate dropped, but still sat at an impressive 15.7 per nine innings. Chapman has converted at least 33 saves and collected 106 strikeouts or more in each of the last four seasons.